The purchase of a company by another. When one asset, usually a house, has two loans taken out on it. Tax credits are used to reduce the amount of the tax owed. Tax credits are more valuable than deductions because they directly reduce the amount of tax owed, rather than reducing the amount of income that is taxed. An expense that governments allow you to subtract from your income before computing your income tax. The postponement of taxes to a later year, usually by recognizing income or a gain at a later time. Remember, this only delays your tax liability; it doesn't eliminate it. A type of annuity where taxes are deferred until the annuitant decides to withdraw money from the annuity. ➥ More commonly known as a Tax Sheltered Annuity (TSA). Income that is not subject to tax. Income exempt from federal tax may, however, be subject to provincial taxation. ➥ The number to call is 1-800-267-6999. A popular property tax payment plan that allows you to pay your taxes monthly without any penalties or additional charges. ➥ Offered by most municipalities across Canada as a property tax payment option. The total amount of tax you owe. A claim, or obstacle, to the sale of property because of unpaid taxes. The property's title can't be transferred until liens are paid. To receive money back from the government. ➥ The Tax Revenue Division of the Ministry of Finance. A government sale of property to recover unpaid taxes. An arrangement where employees are given the option to make tax-deferred contributions to an annuity set up by their employer. ➥ See also Tax Deferred Annuity (TDA). A savings account for Canadians where income earned is not taxed. A savings or investment plan that offers significant tax savings. Income that is subject to taxation after accounting for adjustments, exemptions, and deductions. A house that is bought so it can be razed to make room for a newer house; usually located in a spectacular setting. Often called the introductory rate, it is the below-market interest rate offered to entice customers to switch credit cards or lenders. You can use the valuable equity locked in your home to eliminate all of your high interest debts, including credit card debt. 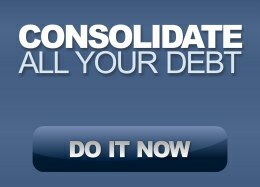 By consolidating your debt into a single, low interest-rate mortgage you can save yourself thousands of dollars in interest.